We would not even list this item if it was not for its uniqueness in the "Case World" and really pretty darn nice. Other than picking it up yourself in a u-Haul, that is all I can suggest. Happy to work with YOUR shipper. NOTE: NO KNIVES ARE INCLUDED!! Special Note on "tie boards" : We will leave the empty tie boards with the display. 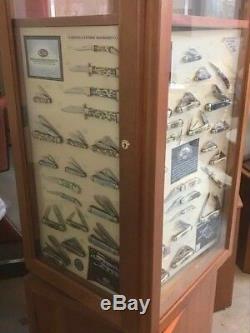 This display, used for many years in a local knife shop is in very good condition. 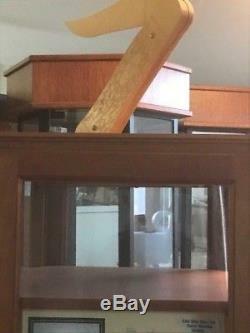 It is made of acrylic and wood. 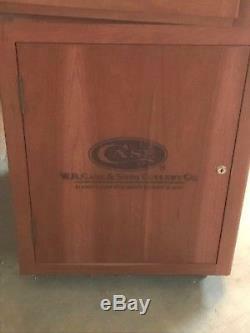 Has engraved "Case" logo/design in the base. Comes with a base and top which is on a beaded spinner so the top will manually rotate. Top has a open display area inside the locked display. 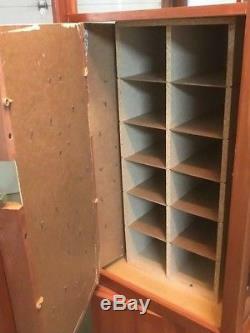 There is storage accessed by two sides on the top and additional storage in the base. All shown in the pictures. Please message us for contact info etc. If you pick this up locally, please bring something to wrap the display and at least two people to carry it to your truck. The wooden knife on top is 100% secure but could break if not packed for travel properly. Pictures are of actual items - sorry about the light reflection! 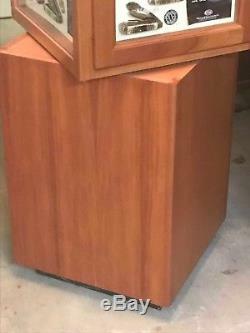 Store Floor Display - See specs below please. 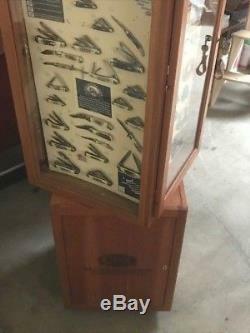 Good Condition w/Keys Wood/Acrylic/Storage in locking base and within the cabinet. The acrylic has some minor scratches but nothing significant, just needs some cleaning! The wood is in great condition and again needs some cleaning. The wood knife is almost perfect, one small mark on it, but in great shape! Made of Wood and Acrylic. 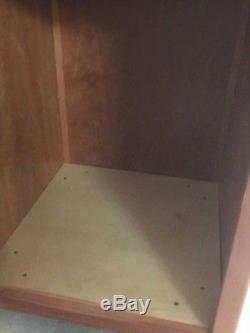 Base w/lockable storage - 19 x 19 x 28 1/2. 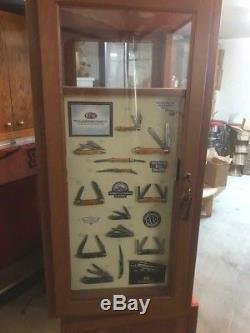 Top including wooded Case knife - 21 x 20 x 52 1/2. Total Height - 6' 9 tall. Top has beaded "spinner" attached, so display manually rotates around (sits on base). Locks are two sides of top section. Lock on one side of base (includes Case engraved in wood). Comes with 3 keys that fit all locks. We strive to keep our pricing as low as possible and save you and us costs. We will be happy to answer any questions! Thank you - Blade Bargain Outlet. Note: All boxes may be opened for inspection, possible cleaning and to verify condition prior to sale. 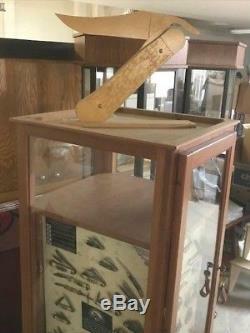 Conditions of knife and box are listed in the description. In compliance with all federal, state, and local laws. We ALWAYS leave P-O-S-I-T-I-V-E feedback because we appreciate our customers! 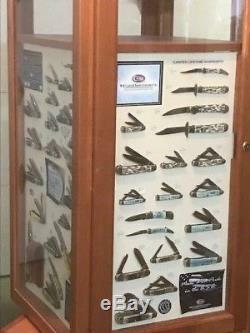 The item "Case Knife Display (floor)with Display Boards (No Knives) & Storage! LOW PRICE" is in sale since Thursday, January 17, 2019. 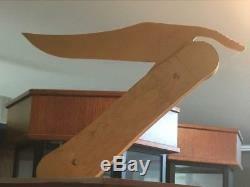 This item is in the category "Sporting Goods\Hunting\Knives & Tools\Folding Blade". 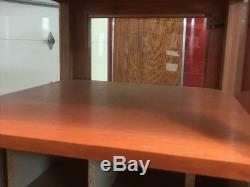 The seller is "bladebargainoutlet1" and is located in Vista, California. This item can be shipped to United States.